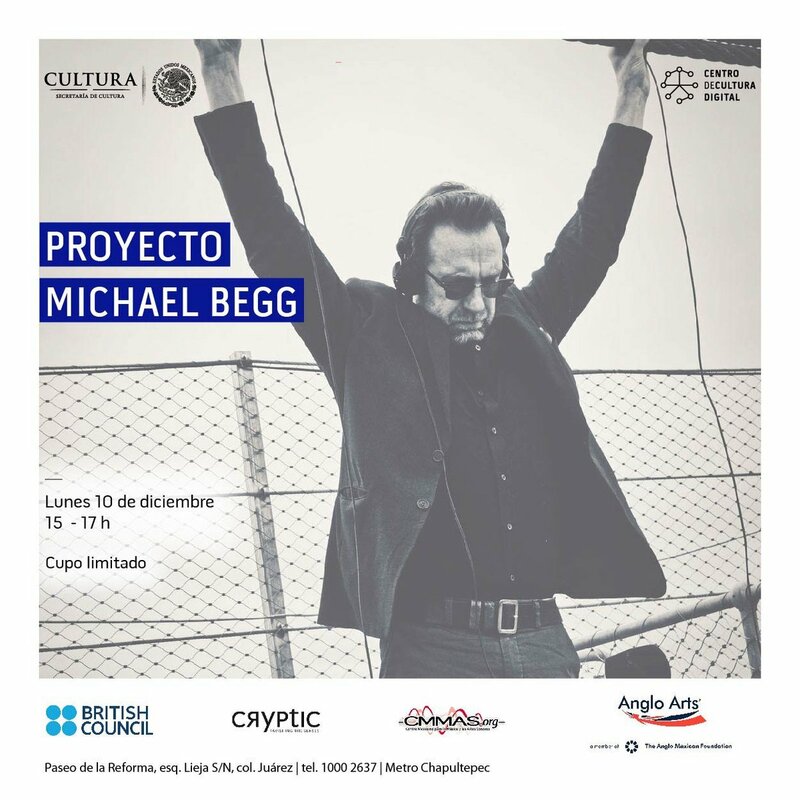 I’ll be giving a talk at the Centro de Cultura Digital in Mexico City on December 10th. The talk will be a playful provocation regarding the “divorce between music and place”. Already, I feel sorry for the translator who will be simultaneously delivering the talk in Spanish. This talk, and the preceding composer residency at the Centro Mexicano Para La Musica y Artes Sonores (CMMAS) has been developed as part of Seeing Hearing UK Mexico, a three-year collaboration between the UK and Mexico made possible with the support of Anglo Arts the cultural department of The Anglo Mexican Foundation A.C; British Council Mexico, CMMAS (Centro Mexicano para la Música y las Artes Sonoras) and Cryptic.